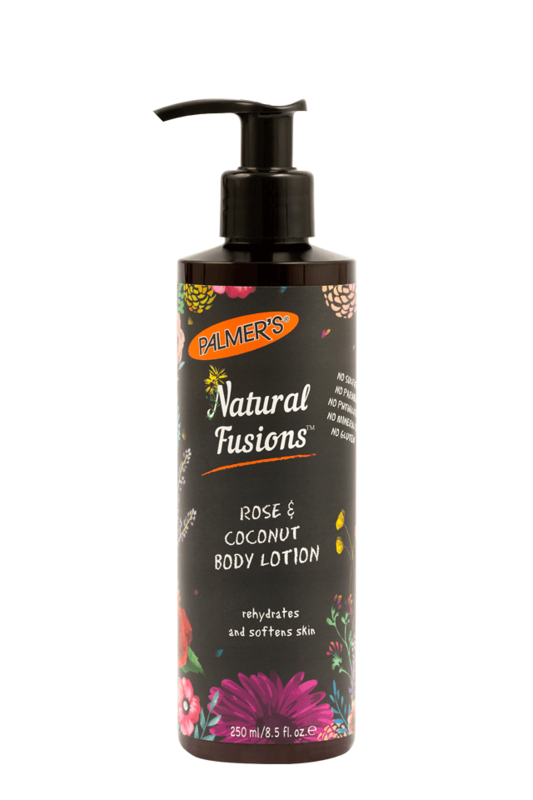 An artfully crafted cocktail of nature's most nourishing and hydrating botanicals, Palmer's Natural Fusions uses the purest ingredients to care for your skin. This exotically scented body lotion that rehydrates and softens skin with raw coconut oil and rose extract. Soybean Oil – Gentle, natural emollient oil that nourishes and soothes skin. Shea Butter - Sourced from the Karite tree, originating in the African Savannah. Africans have used Shea Butter for thousands of years as a natural cure and to protect the skin from sun, wind, heat and saltwater. Macadamia Nut Oil - Rich in antioxidants, especially Vitamin E.
Rosewater – Has anti-inflammatory properties and helps maintain skin’s pH balance. 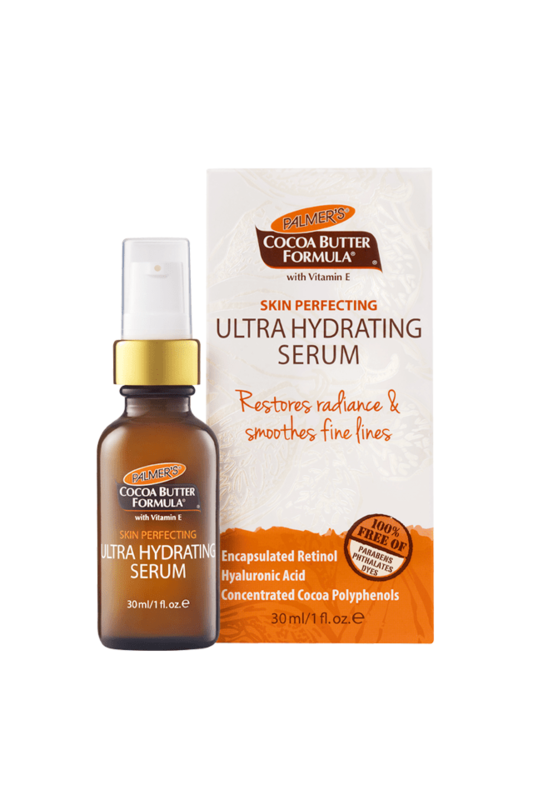 Rosehip Oil – has anti-oxidant properties and is a rich source of skin-beneficial fatty acids. 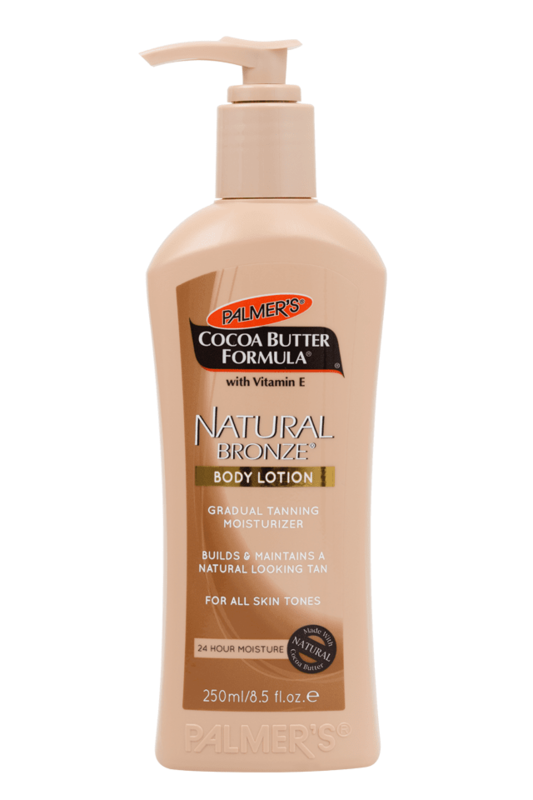 Apply daily all over body for soft, smooth skin.